For a peaceful life and a higher standard of living migrate to Switzerland, a place that has picturesque landscape and fascinating tourist attractions. 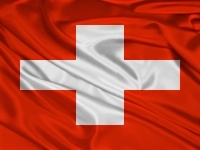 Opulentus will help you in seeking Switzerland Permanent Residence. No doubt, migrating to Switzerland and settling down in Switzerland would mean that one requires Switzerland Citizenship. Make your plans and book your tickets to Switzerland with the expert guidance from Opulentus.